But with the help I get on here, it’s always been Sorted. I think I read that the Inverness club is providing exams. Looking on the bright side at least your low reports are consistent. Intermittent faults are often the hardest ones to find. I think the biggest jump in success rate would come if you learned CW. It is not that difficult, in particular since SOTA QSOs are very repetitive and simplistic. And even slow operators often attract a pile-up. With 5 W CW you will almost certainly make contacts, whereas 5W SSB requires a bit more of luck and skills; a better antenna and decent propagation. As for learning electronics and the physical backgrounds: I think you need to integrate the learning into practical challenges so that you immediately apply what you have learned. Reading a book alone will be much more frustrating, and you will forgot most of it immediately. There are many different purposes for using ferrites on the cabling of an amateur radio rig: On the antenna side, you often want to block RF from floating back to the rig. This is a topic in its own right, and you might have seen RG-174 wound through a toroid. However, this is not what I meant. With the FT817, the other connectors, like headphone, mike, power, and the two CAT connectors can be barn-doors to stray RF picked up by the cabling. If you add ferrites to those, ideally close to the FT817 enclosure, you introduce a barrier to stray RF, because inductors (and any piece of wire, even more so with a ferrite is one) have a reactance that increases with frequency - DC voltages and slow signals can pass, but for high frequencies it is as if a large resistor would be inserted (a bit simplified). 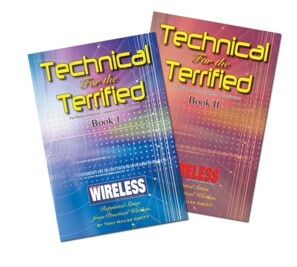 One major German distributor adds leaflets with respective advice to each and every FT817 shipped. 20/40 and I have a balun in-line.